Have you ever seen a movie and wondered where it was filmed? We can answer some of your questions right here! Check out these famous film locations in NV. This guide will tell you where some of the best Nevada film locations are. Valley of Fire State Park is located in the Mojave Desert about 50 miles northeast of Las Vegas. The climate is varied from winter ranging from 75 degrees F to summer exceeding 100-120 degrees. This site is also best for camping with the family and experiencing nature at the desert. RV camping and picnicking is also available. 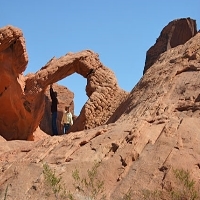 Many films like The Professional, Airwolf, Cherry 2000, Star Trek Generation, Austin Power and many more are using this park as its filming location in NV. The most featured attraction in this park is the petroglyphs that are present throughout the entire park. 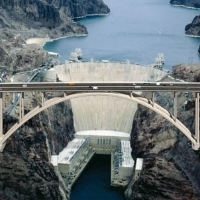 Hoover Dam, once known as Boulder Dam, is one of the famous tourist attractions in Nevada. The Dam is a concrete arch-gravity dam that spans the border between the US states of Arizona and Nevada. There is a price for filming at this site. The Dam is visited by nearly a million people each year. It is also famous for its NV film locations in movies such as The Amazing Colossal Man, Universal Soldier, Vegas Vacation, Fools Rush In, and more. Visitors can take pictures with this magnificent dam as its background. The Hoover Dam is open every day except Thanksgiving and Christmas Day at 8 a.m. to 6.15 p.m. The tour can be arranged at the visitor center; first tour departs at 9.30 a.m. The LVH – Las Vegas Hotel and Casino, formerly the Las Vegas Hilton is a hotel, casino and convenience center in Nevada. It offers visitors the experience to have the finest amenities, offerings and more during the stay. The hotel is adjacent to the Las Vegas Convention Center and offers world-class hotel casino with its incredible restaurants, and endless entertainment. This Nevada hotel is famous for the film location of James Bond’s Diamonds Are Forever. In that movie, it is used as the infamous “Whyte House” casino. Other movies such as Over the Top and Indecent Proposal used this hotel as their shooting location. 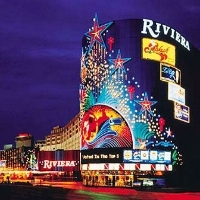 The Riviera has over 2,100 rooms and over 110,000 square feet of gaming space. It was first opened on April 20, 1955 in Las Vegas, Nevada. The hotel features outstanding shows performing nightly in intimate theater settings. The restaurants are world class and the dining experience is guaranteed to be enjoyable and unforgettable. The NV hotel is famous for the film location of the original 1960’s Ocean Eleven. It is also featured in the movie “21” where Ben strikes out on his own. The casino is open and offering non-stop gaming action with the latest casino games and the best table games. The Excalibur Hotel and Casino is located on the Las Vegas Strip in Nevada. The hotel is named after the mythical sword of King Arthur and features 100,000 square feet of gaming area. Over 1,700 slot machines and table games are placed inside the casino. The famous entertainments here are Tournament of Kings and Thunder From Down Under. The Nevada hotel is the film location for the movie Honeymoon in Vegas where Nicholas Cage flies over the crazily turreted 4,000-rooms. 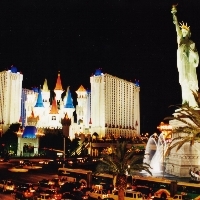 Besides theater movies, Excalibur was the setting for a stunt in the Las Vegas edition of Fear Factor. 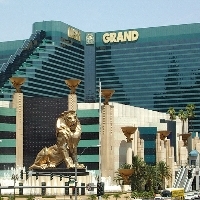 The MGM Grand Hotel and Casino is located on the Las Vegas Strip and named as the third largest hotel in the world. The property has five outdoor pools, rivers and waterfalls that cover 6.5 acres. It is also the house of many shops and night clubs, restaurants and of course the largest casino in Clark County. The Nevada casino is one of the film locations in the renewed 2001 Ocean’s Eleven movie. The hotel is also featured in the 1996 boxing comedy The Great White Hype. MGM has one of the largest gaming floors in all of Las Vegas. 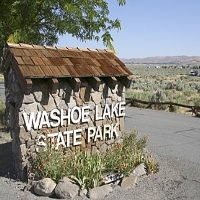 Washoe Lake State Park is a state park of Nevada located on Washoe Lake between Carson City and Reno. The visitors will find spectacular views of the Sierra Nevada and Carson Range. The most popular activities include nature study, bird watching, hiking, horseback riding, picnicking, windsurfing, water skiing, and many more. The Nevada lake is featured as a film location in the movie The Shootist where the buggy ride took place. Visitors can enjoy camping, boating and fishing as the main family event. The trails are available for motorized and non-motorized users. 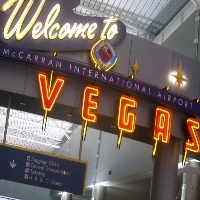 McCarran International Airport is the principal commercial airport serving Las Vegas and Clark County, Nevada. The airport is located five miles south of Las Vegas and has the busiest traffic flight in the city. In 2012, more than 40 million passengers were passing though the terminal. This airport also has more than 1,234 slot machines throughout the airport terminals. The airport is featured in Diamonds Are Forever as James Bond lands there and walks out of the front terminal. The movie Rush Hour 2 also took had one of their film locations here in Nevada and had its cataclysmic destruction on the disaster film “2012”. 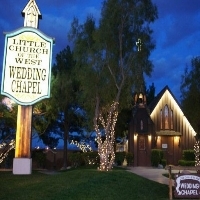 The Little Church of the West is a wedding chapel located in Las Vegas, Nevada. The building is known as the oldest building on the Strip. The chapel is quaint, romantic and full of historical memories that will make the most important day for any bride and groom. The architecture is unique and the property is landscaped properly. In the movie Viva Las Vegas, the Nevada film location took place here where Elvis Presley and Ann Margret recited their vows. The church was also listed on the National Register of Historic Places. 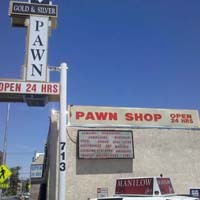 The Gold and Silver Pawn Shop is where the popular reality show Pawn Stars is filmed. The shop has become a tourist destination. The shop is expected to have lines of people who wait to get in. So it is better to be prepared and make sure you have breakfast or lunch before waiting in the line. Visitors will feel like they are shopping in a museum. The Pawn Stars in Las Vegas, Nevada is a real treat. Many historical items are sold here like a medal from the Civil War, swords, antique guns, and more. The Naval Air Station in Fallon, Nevada is the United States Navy’s premier air to air and air to ground training facility. With the motto “Train the way you fight, fight the way you train”, this facility conducts comprehensive training of entire carrier air wings while integrating every element of the wing into realistic battle scenarios. 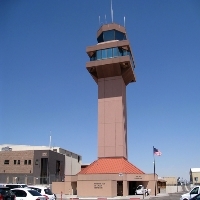 The Nevada NAS is the film location for both Top Gun and Clear and Present Danger movies. Over the years, the equipment at the station has been upgraded or modified to improve the efficiency and accuracy of the information gathered by the radar. Caesars Palace is a luxury hotel located in Las Vegas, Nevada. It has a convention facility of over 300,000 square feet and 3960 rooms in six towers. The Colosseum at the hotel provides a 4,296 seat entertainment venue that hosts performances by numerous famous artists. The NV hotel is the one of the main film locations for the movie The Hangover which has grossed more than 200 million dollars. The service is impeccable and simply the best. 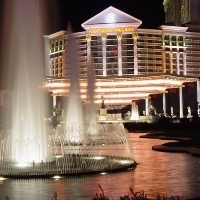 The casino is a modern-day Roman Empire that will dazzle visitors with excitement and challenges. 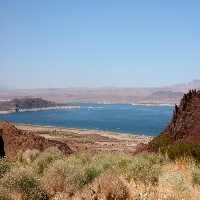 Lake Mead is the largest reservoir in maximum water capacity. It is located on the Colorado River about 24 miles from the Strip southeast of Las Vegas, Nevada. Families can enjoy all year recreational activities such as boating, fishing, hiking, photography, picnicking and sightseeing. It is also home to thousands of desert plants and animals. Lake Mead in Nevada is one of the film locations in the movie Kill Me Again that stars Val Kilmer and Joanne Whalley as Jake and Fay. Additional activities such as water skiing, swimming and sunbathing are also available on the lake. 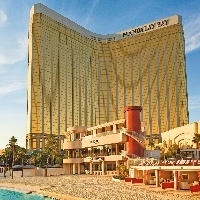 Mandalay Bay Resort and Casino is a 44 story luxury hotel casino in Las Vegas, Nevada. It has 3,309 hotel rooms, 24 elevators and a 135,000 square foot casino. The convention center is 1,000,000 square feet wide. It features live events and nightlife such as Michael Jackson ONE by Cirque du Soleil, Lounges and Bars, Beach Concert Series, and House of Blues Music Hall. The Mandalay Bay in Nevada is the film location for the popular television series “Las Vegas” which took most of the shots at the hotel for the first season as the fiction hotel “Montecito Resort and Casino”. 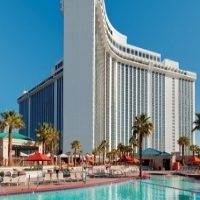 Treasure Island Hotel and Casino is a hotel and casino located on the Las Vegas Strip in Paradise, Nevada. The hotel has more than 2,500 rooms with 220 suites. The hotel has received the AAA Four Diamond rating each year since 1999. Many film and television history happened here. It is the Nevada film location for movies such as Dodgeball: A True Underdog Story and Miss Congeniality 2 where the climatic fight scene took place in the lagoon. 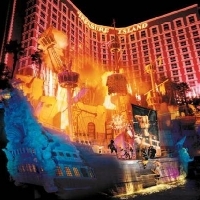 Treasure Island also features unique Las Vegas bars and the best lounge for visitors to have a truly fun experience. Chapel of Bells is a Las Vegas wedding chapel that has blended charm, class, and affordability to those desiring a Las Vegas wedding ceremony and night to remember. It is also a NV film location from the movie “Vegas Vacation”. The chapel has operated for more than fifty years and offers the best wedding services. The chapel has hosted numerous celebrity nuptials, including Jenny Jones, Jerry Weintraub, Al Hirt, Leslie Nielson and many more. Other movies were also shot here including Honeymoon in Vegas, Indecent Proposal, and Mars Attacks. 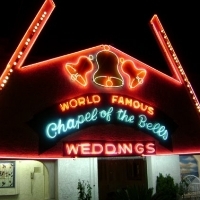 Chapel of the Bells is one of the oldest wedding chapels in Nevada. 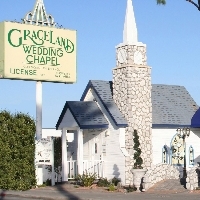 The Graceland Chapel has been a wedding chapel on the Las Vegas Strip in Nevada for more than 50 years. It is also one for the most prominent chapels for weddings in Las Vegas. Famous people, such as Jon Bon Jovi was married in this place. It is also featured as a NV film location for the movies When Fools Rush In, Fear and Loathing in Las Vegas, The Hangover and the famous reality TV show The Amazing Race season 15. The chapel offers wedding services featuring fresh flowers, silk flowers, digital photography, limousine service, and DVD recording technology. 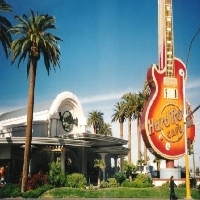 The Hard Rock Café in Las Vegas, Nevada is the perfect place to hang out with friends or meeting new friends. The staff is great, fun and knowledgeable, not only about music but also the cocktails and drinks. The food is great and plentiful. It is a place to release the stress visitors have all day and enjoy the music while sipping their favorite drink. The Nevada café is also a film location for the 1992 movie, Honey I Blew Up the Kids and Con Air which starred Nicholas Cage in 1997. It is also open to serve breakfast every day from 8:30 a.m. to 11 a.m. 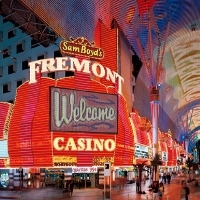 The Freemont Hotel and Casino is a hotel casino located on Freemont Street Las Vegas, Nevada. The casino has 32,000 square feet of gaming space with the latest table games and slot machines. It also features the largest free entertainment and the largest LED screen in the world. The Freemont in Nevada is film the location for the movie Honey, I Blew Up the Kid and Jon Favreau and Vince Vaughn's movie “Swingers” where the blackjack games happen. The hotel offers four fantastic bars to relax and enjoy a little time with the intimate settings. 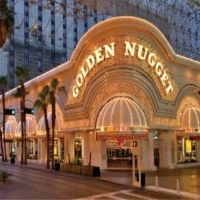 The Golden Nugget is a luxury casino hotel located in Las Vegas, Nevada with the largest casino in the downtown area. The hotel features 2,345 deluxe guest rooms and suites. The Shark Tank Tours offers visitors the chance to get up close and personal with the resident sharks and other amazing underwater creatures. The Golden Nugget in Nevada has also made media history for being the film location from movies like James Bond’s Diamonds Are Forever, Smokin’ Aces, Next, and the Grand. In 2010, the casino pool and shark aquarium were featured throughout an episode of CSI: Crime Scene Investigation.